My friend Brian, ask me if I wanted to go to the beach for a swim, I said yes, but I not going in the water, I’ll just bring my camera and have some fun with that instead. I can’t even remember the last time I went for a swim, here in Denmark. That’s how long it’s been. And I wasn’t going to take it up on this cold and windy August day. But he went in – way to go buddy – and I got a rather cool photo of a bathing jetty. Here’s a before and after comparison. from the RAW to the finished photo. 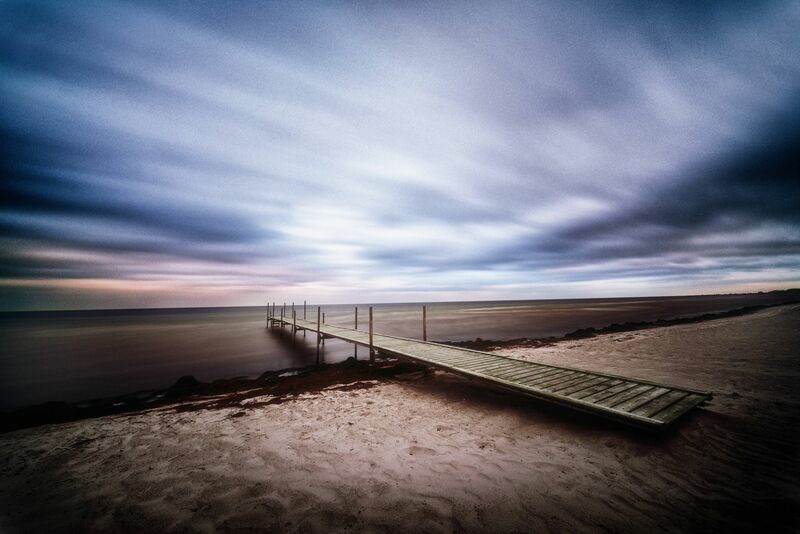 Long exposure at Ishøj beach by Bo47 is licensed under a Creative Commons Attribution-NonCommercial-NoDerivatives 4.0 International License.